Bonjour lecteurs! I hope you had a lovely weekend? We are just back from a day out in the countryside as we visited Grumpy Boyfriend’s mum and it was lovely! Luckily, the weather has been back to normal and Baba simply played naked in his grandma’s garden pretty much all afternoon! So the big decision was… Should I share these pictures with you in Living Arrows?It would be pretty embarrassing for the poor soul. Well, I think I might have put a bit of it on Instagram today in our stories! Oops! I have already gone too far so I will not do it to him again!Donc Living Arrows 27/52 is all about playing at home. Voilà! This week has been equally intense as the last one at work, so it was nice to relax at home. Luckily, Baba slept for 3 hours on Friday (it’s my day off, so I am always trying to blog a bit) and I was able to do a lot of stuff! Hurrah! Once awake, he was back on full of energy and wanted to play. We received a fabulous puzzle from the famous Sophie La Girafe last week and Baba was eager to try it out! Now, let’s be clear, my son is not un génie so I won’t pretend that he managed to work out the puzzle. But he had a go! So let’s have a go at this! Ok, it didn’t last long and soon after this shot, he was throwing away all the cubes around the room! That’s more like him! For a moment, I thought mon fils was the future Einstein! Ouf! I was wondering where it was coming from! I hope you liked reading our Living Arrows 27/52! Did I get you and you already imagined that my Baba was a mastermind? You are bing too polite! 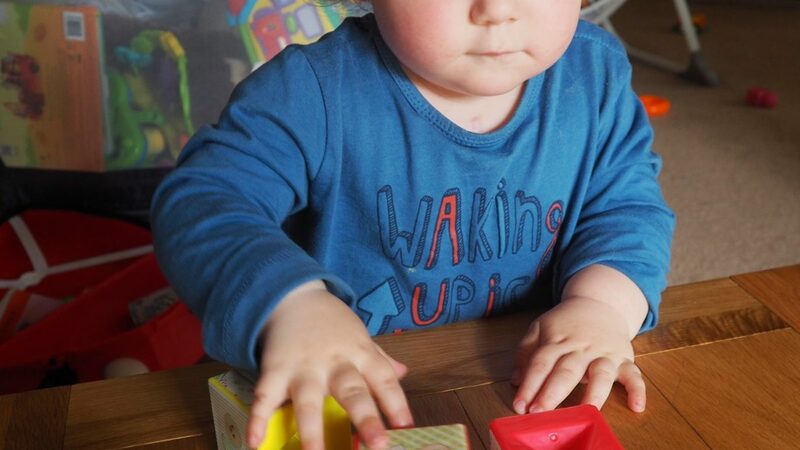 Oh and before I forget, don’t miss the chance to win the same puzzle for your little one! It will be soon on our Facebook page. It’s here! Make sure you like it as we have more fabulous Frenchie giveaways coming up over the few weeks! Days out are always fun but playing at home gives the children more freedom and use their imagination. Lovely living arrows. The look of concentration on his face! We are big puzzle fans in our house I always find like its a nice wind down activity for us all to do. I love the look of this one – will be perfect for my Alfie in a couple of years! 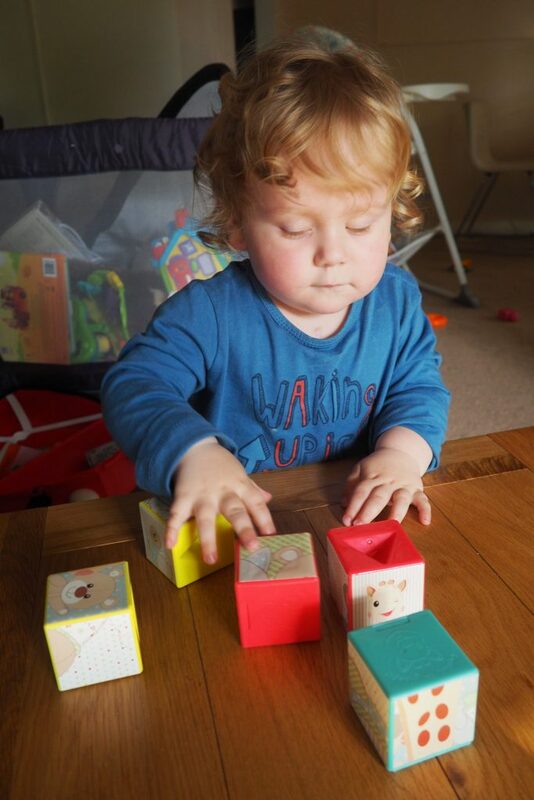 Even though he threw all the cubes away, in this photo he looks like he is having fun with it. Next Next post: How to have the best camping holiday this Summer – 5 Frenchie tips!